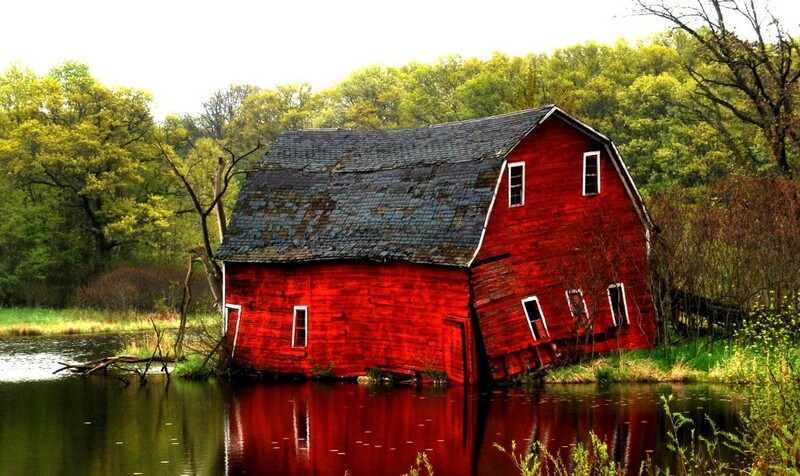 Located a few miles east of the small town of Zimmerman, MN in central Minnesota, is an old rustic red barn, slowly falling into disrepair. 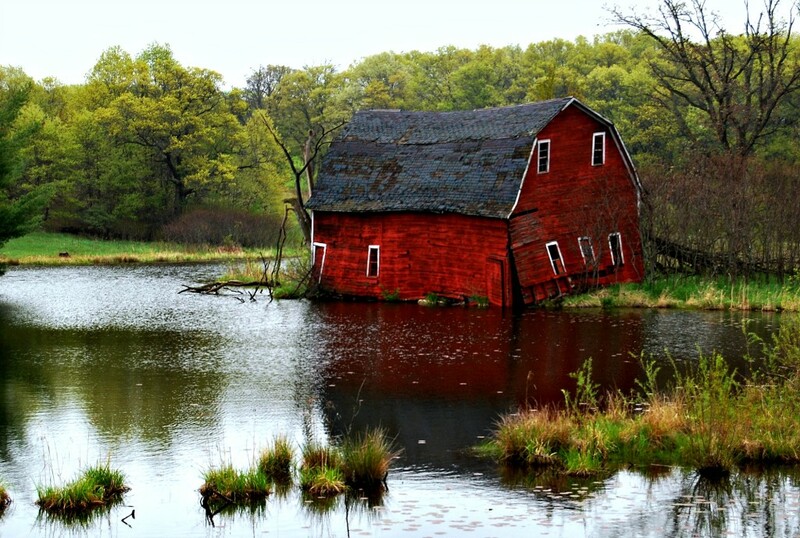 Barns like this aren’t uncommon around the US by any means, but what makes this one interesting is that it’s situated on a small peninsula and slowly sinking into a nearby pond, and one day it will no doubt be gone forever. I had read that this barn might be the most photographed barn in the state, and for good reason – it’s incredibly picturesque; surrounded by woods and water and it is very easy to find and photograph from the shoulder of the county road upon which it sits. The barn is on private property so you can’t go up to it. 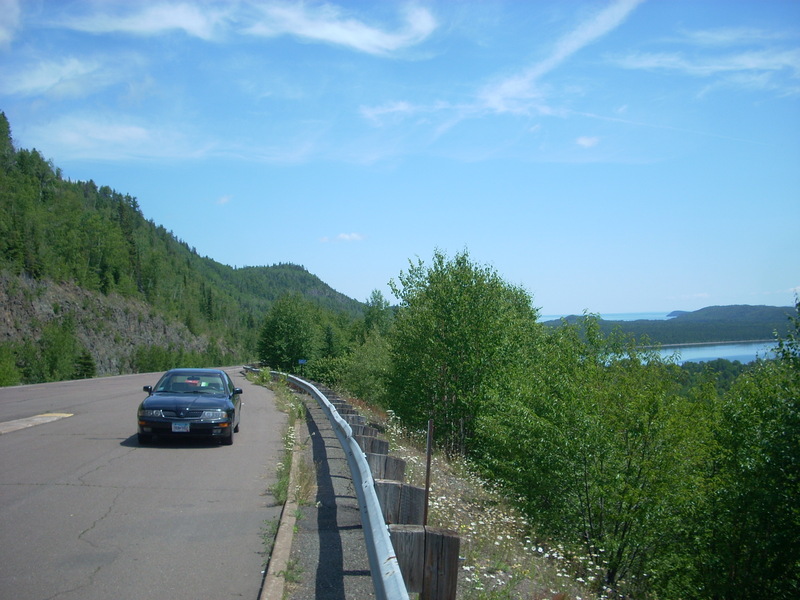 But the best view is right there on the side of the road, so all you need to do is pull over, hop out of your car, and snap away. 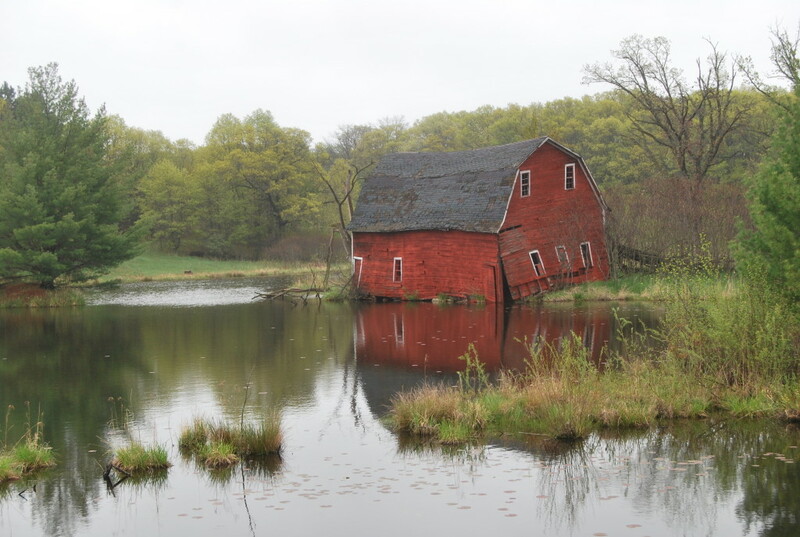 The day I visited was a gray, drizzly, spring afternoon, which made for an intriguing photo session of the barn. The dilapidated structure still shines bright red, and the recently-returned green tree leaves framed the photos perfectly. 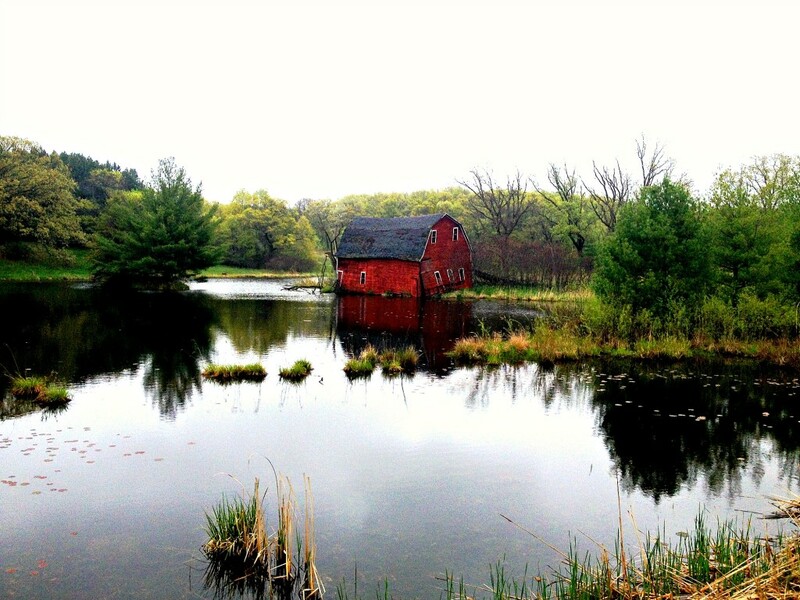 The barn’s reflection in the pond (especially when the water level is high) make it a unique setting of abandonment and Americana. Only time will tell how many more seasons the Sinking Barn will endure, so now is a good time to go see it in all its glory before nature takes its course. The barn will likely one day collapse into the water or be demolished, but no one really knows. ****Editor’s Note**** – Around August of 2016, the barn finally succumbed to the forces of nature and began its descent into the lake. By May of 2017, the barn was gone for good. I live close by this and drive by it often. It amazes me that it still standing. I moved here 7 years ago and its just astonishing that it hasn’t gone into the pond yet. Sounds like it finally fell into the water recently. I’ll have to try to go see it sometime soon!